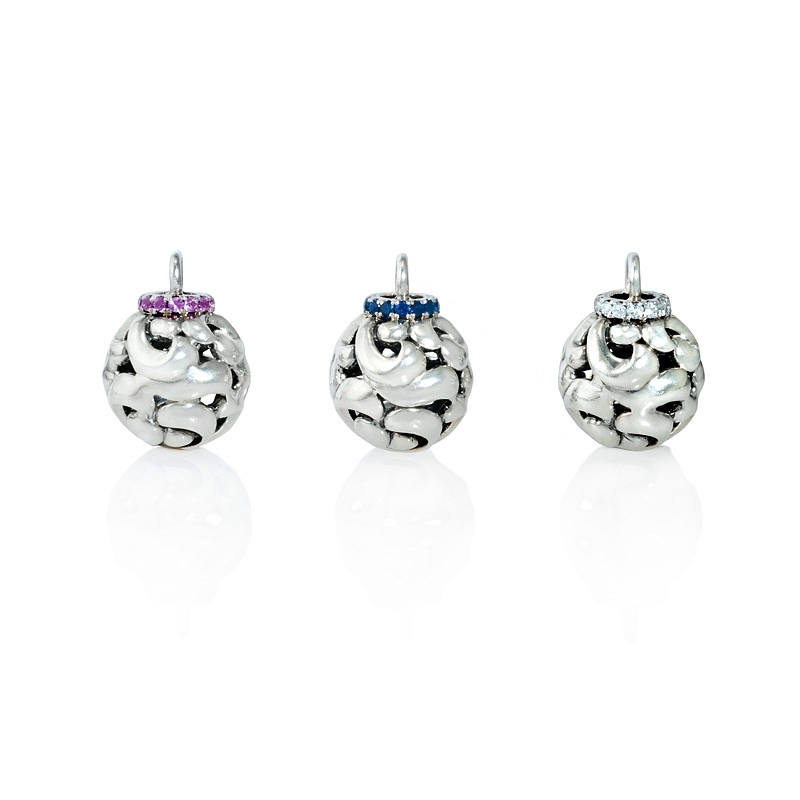 Charm Details: Individually sold sterling silver charms with white, blue or pink sapphires each meant to represent a child or grandchild. Bracelet Design: Charles Krypell sterling silver design. Measurements: 8.25 inches in length and the charms measure 18mm in length and 12mm at the widest point. Please specify the number of charms and color(s) desired. This beautiful Charles Krypell SweetPea Collection charm bracelet features individually sold sterling silver charms with white, blue or pink sapphires. Each charm is meant to represent children and grandchildren. This piece makes a unique gift idea to a parent or grandparent for her birthday, mother's day or the holidays. This charm bracelet is approximately 8.25 inches in length and the charms measures 18mm in length and 12mm at the widest point.